We have heard a number of rumors about the new iPhone 6S and 6S Plus smartphones, both handset will launch later this year along with iOS 9. The iPhone 6S and 6S Plus are expected to keep the same design as the existing iPhone 6 and 6 Plus handsets, Apple usually changes its iPhone design every two years, there may be some minor design changes to this years models. The new 6S and 6S Plus handsets are expected to come with a new processor, the Apple A9 which will be faster than the current Apple A8 and also come with improved graphics. Apple may also add in more RAM to their new iPhones. The cameras on Apple’s new iPhones are also expected to be updated, the front facing Apple FaceTime Camera is expected to support Full HD video in 1080p, the current version supports 720p video. The rear camera 0on both handsets is also expected to be updated to a 12 megapixel camera that is designed for taking photos in low light conditions. Apple are also expected to bring higher resolution displays to both handsets, the iPhone 6S is rumored to come with a Full HD display with a resolution of 1920 x 1080 pixels and the 6S Plus is rumored to feature a Quad HD display with a resolution of 2560 x 1440 pixels. Both of Apple’s new iPhone models are also expected to come with Force Touch and both handsets will also come with a new improved fingerprint sensor which is said to be more accurate than the one that Apple currently uses. 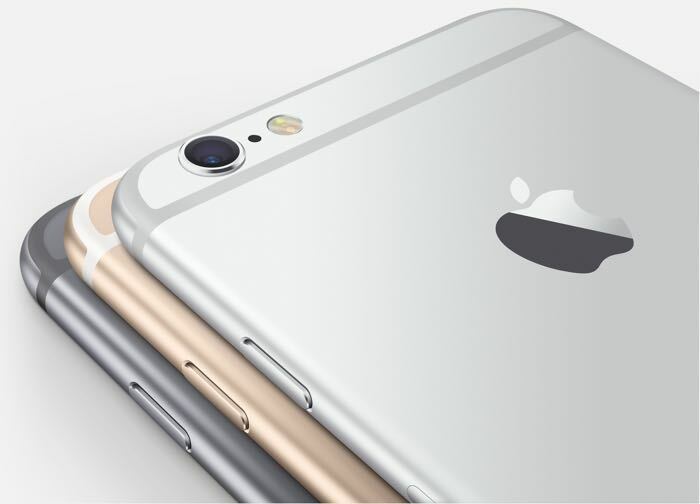 Apple normally announces its new iPhones in September and the handsets also go on sale in September, there are rumors that the iPhone 6S release date could be the 25th of September, although we have also heard rumors that Apple may announce the device in August and launch it in early September. Apple are expected to add another color option to this years iPhones, Rose Gold to match the Apple Watch, which means that they will offer gold, space gray, silver and rose gold versions of their new smartphones. Going on previous iPhone releases, we suspect that the new iPhones will be made official in early September and then will go on sale later that month, as soon as we get some more details about Apple’s new iPhones, we will let you guys know.